Hello! 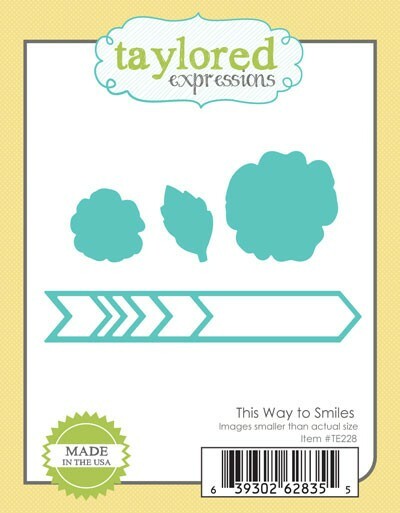 Welcome to the Taylored Expressions September Stamp of the Month Blog Hop! 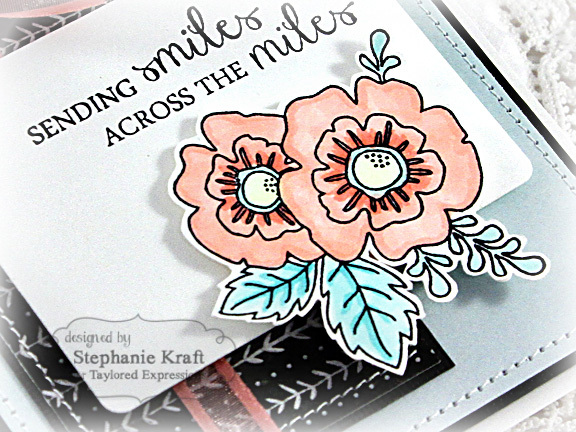 I combined the September Stamp of the Month (Sending Smiles) with the September Key Ingredients (featuring patterned paper from the We R Memory Keepers Chalkboard collection) to make a card. 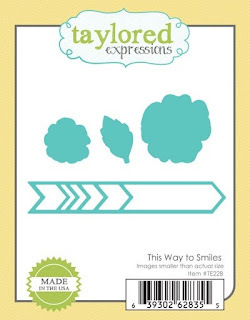 As we continue the month-long Birthday Bash at Taylored Expressions, we have some fun birthday gifts to give. 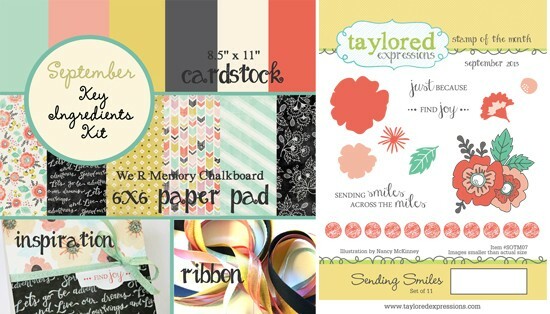 Each of the designers on today's hop will be giving away the card they are showcasing to one lucky reader. If you like the card I've made for today, simply leave a comment here on my blog before 6:00 p.m. on Thursday, September 12th and you'll be entered into a drawing to win it. Winners will be announced on the TE blog on Friday morning. Still on the fence? The From Me to You Stamp/Die set that was shown last week during our September release is still available for FREE with a $50 purchase through 9/15 while supplies last. So, you could subscribe to SOTM and/or KI and bump up your order to $50 and get the $17 value set for free. A Deluxe Subscription in the US is $39, so if you add the coordinating die, you'd automatically qualify for the free set. For more information about all TE kit subscriptions, please visit the TE store here. Accessories: Taylored Dies: Labels Stacklets 6 (TE), Markers (Copic), Ribbon from Key Ingredients, Tangerine Sprinkles (Doodlebug), Foam tape, Thread, Sewing machine. I just love how the leaves are draped below the white background layer, Stephanie, and your flowers are beautiful...this is sooo elegant!!!! Beautiful card, Steph. Love your stitching. A very pretty card. I love all the stitching you did. I wish I was brave enough to try that. I also like how you have part of the flower hanging over the edge of the white panel. Such a pretty card Stephanie! Love the soft colored flowers and beautiful bow! Beautiful card Steph. Love the pretty blooms. The stitching looks awesome.